Self-regulation—the capacity to modulate attention and emotion—is a robust predictor of important outcomes across the life span. Contemplative practices, such as yoga and mindfulness, have been implemented in schools and shown to improve self-regulation. For the most part, studies incorporating contemplative practices have used quantitative methodologies aimed at generating measurable results on self-regulation. There is limited literature on children’s perceptions of how a contemplative practice helps them self-regulate, as well as the benefits that children report from participating in these practices. Furthermore, there is a shortage of work discussing how teachers may guide children towards learning about their bodily sensations, emotions, in addition to others’ emotions, during a yoga practice. To address these gaps in the literature, this article draws from theories in learning and development to explain why when children are given the space to experiment with yoga practices, they may better relate to their emotional experiences. Implications are discussed including guidelines to inform the future design and implementation of yoga programs in education. The Mind & Life Institute (via the Contemplative Education Grant, Grant ID Number: A-13146632) financially supported this line of inquiry. In accordance with Taylor & Francis policy and our ethical obligations as researchers, we are reporting that we do not have a financial and/or business interests in a company that may be affected by the thoughts reported in the enclosed paper. Any views, findings, conclusions, or recommendations expressed in this article do not necessarily reflect those of the Mind & Life Institute. Poehlmann-Tynan, J., Vigna, A. B., Weymouth, L. A., Gerstein, E. D., Burnson, C., Zabransky, M., et al. (2016). A pilot study of mindful practices with economically disadvantaged preschoolers: children’s empathic and self-regulatory behaviors. Mindfulness, 1–13. https://doi.org/10.1007/s12671-015-0426-3. 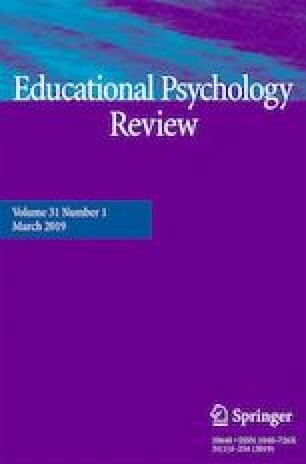 Sawyer, R. K., John-Steiner, V., Moran, S., Sternberg, R. J., Feldman, D. H., Nakamura, J., & Csikszentmihalyi, M. (2003). Creativity and development. Counterpoints: Cognition, Memo. https://doi.org/10.1093/acprof:oso/9780195149005.001.0001. Schmalzl, L., Powers, C., & Blom, E. H. (2015). Neurophysiological and neurocognitive mechanisms underlying the effects of yoga-based practices: towards a comprehensive theoretical framework. Frontiers in Human Neuroscience, 9. https://doi.org/10.3389/fnhum.2015.00235. Stapp, A. C., & Wolff, K. (2017). Young children’s experiences with yoga in an early childhood setting. Early Child Development and Care, 1–14. https://doi.org/10.1080/03004430.2017.1385607.